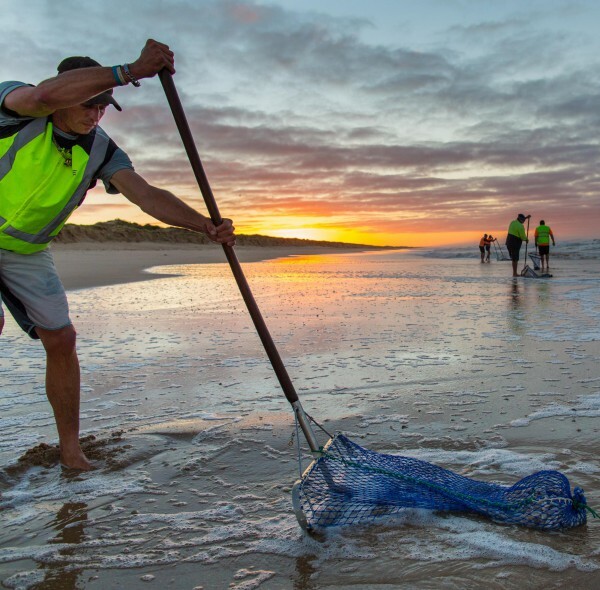 Why would you dig pipis with a rake, when others harvest with a machine? Let’s not beat around the bush, manually harvesting pipis is tough work. It’s physically demanding, logistically difficult, harsh on machinery and frankly, expensive. So why do we do it? In the world of wild caught clam fisheries there are numerous examples of fisheries that have collapsed through mechanical harvesting practices. Techniques such as dredging can be indiscriminate, damaging the substrate the clams live in and impacting other non-targeted bi-catch in the process. Conversely, our harvest crews with a combined experience of over 200 years see what the pipi stock is doing on a daily basis. They see and feel (with their feet) subtle changes in the resource and can adjust their fishing practices accordingly. It’s something you just can’t do with a machine. With current technology of course we could harvest our pipis with a machine, but from our point of view we like our close connection with the resource. Just as importantly, we think our customers appreciate the artisan nature of our fishing practices. 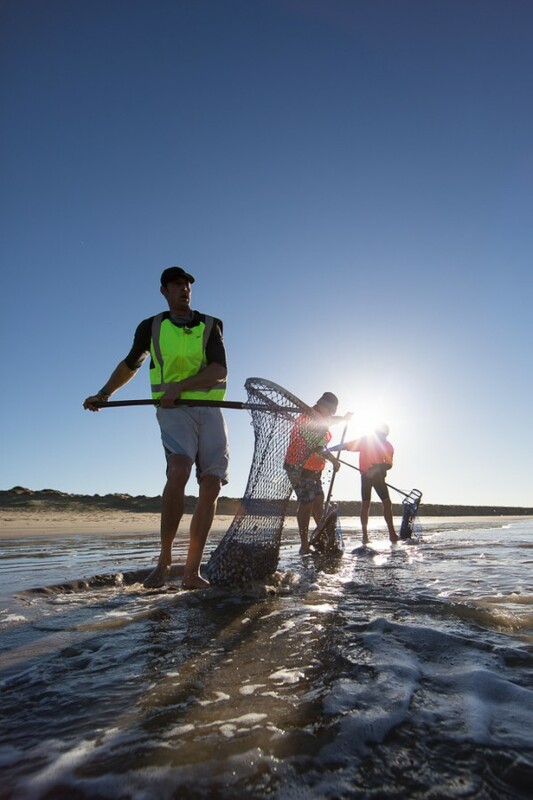 The combination of our strong catch quota management protocols, close working relationship with the scientists who manage our biomass and our harvest crews working with the resource daily, we believe we are not just talking about sustainable fishing, we’re actually living it. We welcome you, our valued customers to come and fish with our harvest crews providing we are given sufficient advance notice.